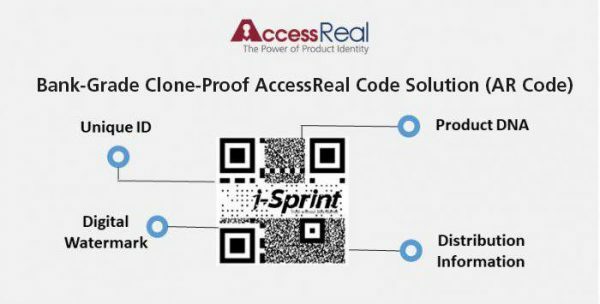 Singapore, 4 July 2018 – i-Sprint Innovations Pte Ltd (i-Sprint) has developed a new clone-proof anti-counterfeiting QR code, known as AR Code, with bank-grade security process. This unique feature is being offered on its brand protection solution – AccessReal™. “My clients demand the best solution for their products. I am happy to have i-Sprint as our technology partner for working together in providing a very innovative brand protection solution for my clients. Upcoming, I have a client in lifestyle industry who will launch a product in Southeast Asia with annual volume over 100 million units using the AR Code.” said Mr. Ng Guankai, Business Development Director of Nabcore, a business management consulting firm based in Singapore.